It's been nearly 7 full years since Super Meat Boy first made its debut on the Xbox 360, and in all the time that's elapsed since its initial launch, the game remains one of the tightest and best-executed platformers ever released. 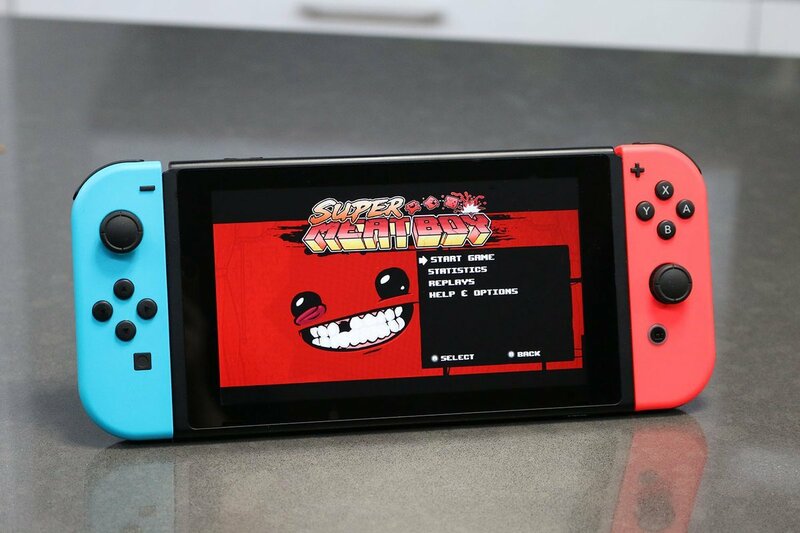 Super Meat Boy plays out like a love song to the likes of Nintendo's most iconic 8- and 16-bit platformers, so it only feels appropriate that the game is soon to release for the company's latest console, the Nintendo Switch. As revealed through the official Team Meat Twitter account, Super Meat Boy will be landing on the Nintendo Switch sometime soon. The developer's post is typically light on details, but the provided image (seen above) is all that Meat Boy and platformer fans in general will need to get excited, as it seems the game -- or at the very least the game's title screen -- is already up and running on the console. Without playing it, it's hard to describe Super Meat Boy; the title plays out like standard platformers with an added dose of long-jumping and wall-sliding, but it differs in the notion that players will often have to learn the ins and outs of stages by repeatedly dying. The game also offers up a host of special items, levels, and unlockable characters based on other indie-developed games, all of which help to serve Super Meat Boy's immense replayability. For now, there's no set release date planned for Super Meat Boy on the Nintendo Switch. There's no set retail price, either, which is somewhat disconcerting for Switch owners. Super Meat Boy currently retails for $14.99 on Steam, which would normally be the expected asking price for such a title; however, Nintendo has proven that they can charge inordinately high prices, particularly for older games, and players will buy the software anyway. While it's doubtful that Nintendo would increase the price too much, players can and probably should expect to pay around $20 or more to get Super Meat Boy up and running on their hybrid console. Searching for more awesome Nintendo Switch titles? We've got a fine assortment of our favorite on-the-go hits featured on Modojo's list of the Best Nintendo Switch Games.